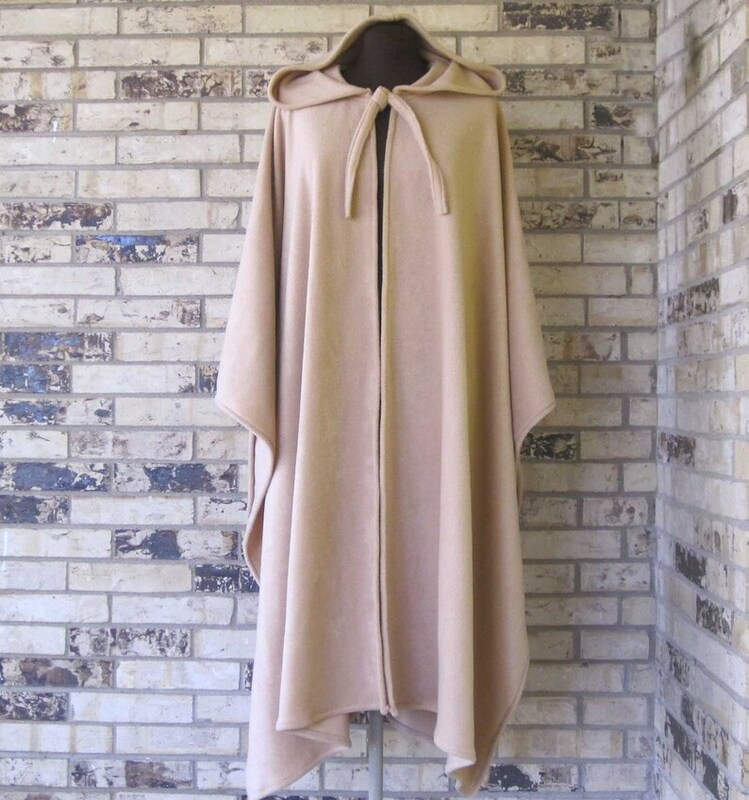 If you live someplace like here in Texas where much of winter is cool rather than bitter cold perhaps a cape is right for you......just the thing to keep the chill away. This is a soft warm light beige unlined fleece cape with open sides, a roomy hood and tie closure but I can find fleece in "almost" any color you prefer. It is made of soft anti-pill fleece and fits almost anyone. It shipped right away. It is very well made. We will be at a Halloween bdy party in the Midwest and it is perfect for cooler weather. It is not a costume cape, it is durable and warm.